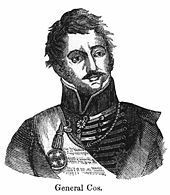 In December, 1835, the Mexican army surrendered the major city of Bexar to the rebellious Texans. Learn about the grass fight and the capture of the pots and pans! 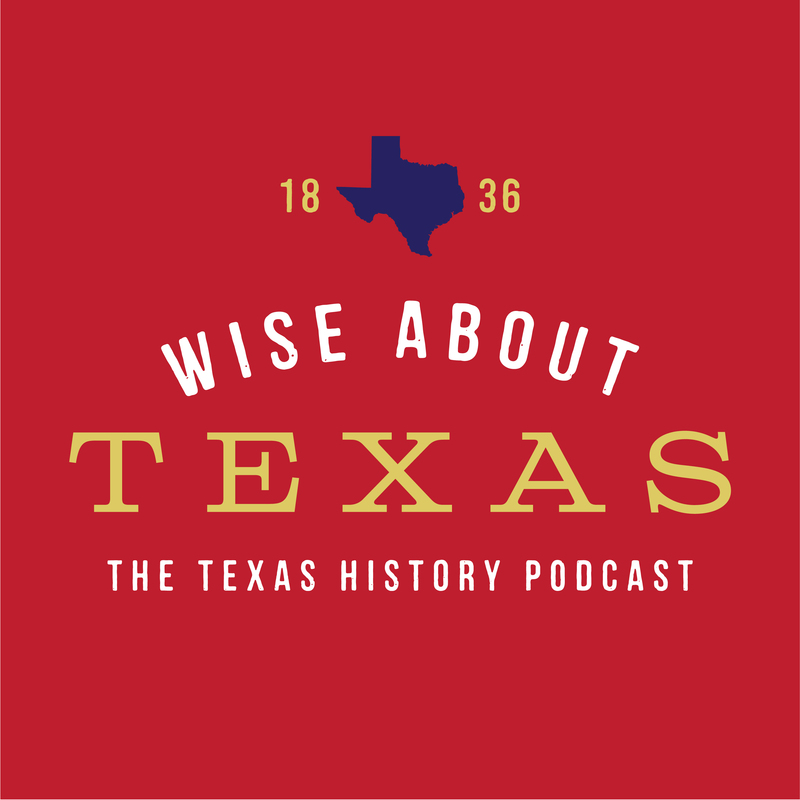 You’ll also learn about the pivotal role BBQ played in the cause of Texas independence! The Alamo in 1849. 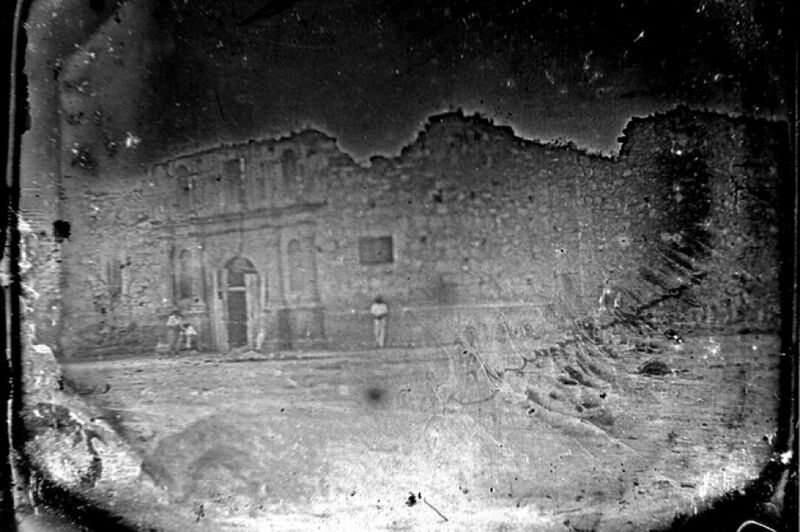 This is the oldest picture of the Alamo and probably the closest to an “1836” view we’ll ever get. 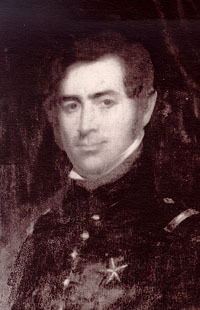 Gen. Edward Burleson who commanded the troops in the battle. The flag of the New Orleans Greys. The Greys participated in the battle and one of them challenged Deaf Smith in the cannon bets. This flag was captured at the Battle of the Alamo and is on display in a Mexican museum. Gen. Martin Perfecto de Cos, commander of the Mexican army at Bexar. 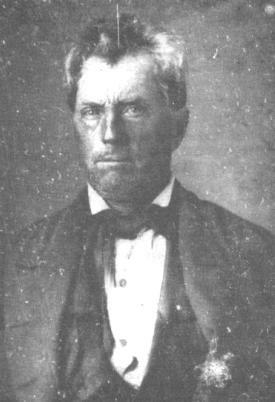 Ben Milam who rallied the Texans and was later killed by a Mexican sniper outside the Veramendi palace. Love hearing the stories about Deaf Smith. I met you last Tuesday at the Fort Bend Archaeology meeting and told you I lived most of my life in Deaf Smith County. I am catching up on these episodes and thoroughly enjoy the side stories. You must have done a lot of research to get all this information. Appreciate it.